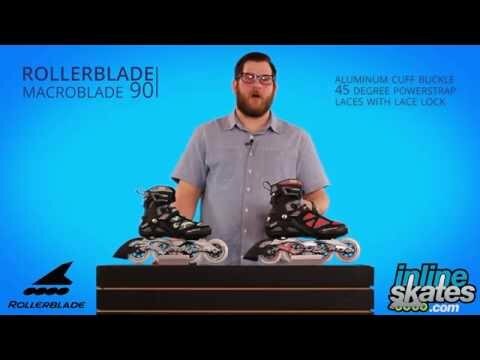 The Rollerblade Macroblade 90 Inline Skates are a high-performance skate that rides fast and smooth then you'll want to check these skates out. Built with a Macroblade Shell/Upper combined with the Form 5 Star Fit Liner and Training Footbed, you'll have all the comfort and support you could ask for and ride the distance with plenty of control. The aluminum cuff buckle will keep you locked in securely with lots of support and Laces with a Lace Lock will ensure that you have a consistent fit the whole time you're skating. A Casting Aluminum Frame is awesome at energy transfer so you don't get fatigued and Supreme Wheels provide excellent grip, enhanced rebound and plenty of response. 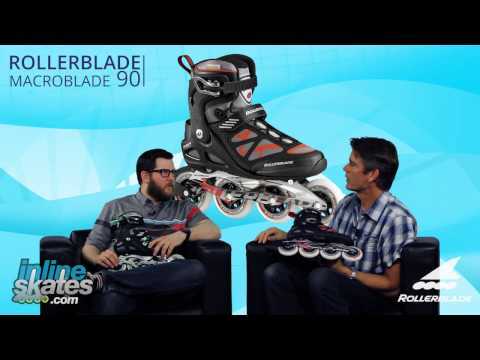 If you're looking for a high-quality fitness skate then you'll want to check out these Rollerblade Macroblade 90 Inline Skates. Fun right out of the box!. A: These are not ideal skates for roller hockey, hockey specific skates will offer a shorter frame length and a smaller wheel size giving you great control in maneuvering. Hockey boots are also more protective and stiffer to give ultimate support and protection needed for hockey. These skates would work for a pick up game here and then but if it's anything you regularly do I'd recommend a hockey specific skate. A: Brake is removable on this skate and an additional short axle to use is included. Not all skates will come with the additional short axle and may need to be ordered. Q: Does your skate fit similar to K2 brand? A: Yeah, I skate with both a K2 brand skate and a Rollerblade brand skate. Both brands are going to fit the same as your standard everyday shoe size. Q: I bought a pair of these skates a year ago. But now I wanted to know if these skates are good to perform freestyle tricks on, or if I should get a different type of skates? A: These skates are not built for trick style skating. You will want to go with an aggressive skate if you are looking to do street skating or park skating looking to air on ramps and grind on rails, boxes, ledges, etc. If you are looking for something in the middle there are an array of urban skates available, these skates marry parts of a fitness skate and an aggressive skate with larger wheels and a more beefy boot you can do limited aggressive skating with them but also have the ability to skate at some speed with the larger wheels. If money was liquid and didn't matter you'd just buy all the skates for all the reasons, if not decide what you are doing most of and get a skate that best fits the style of skating you will do most. Q: how is the packaging size. 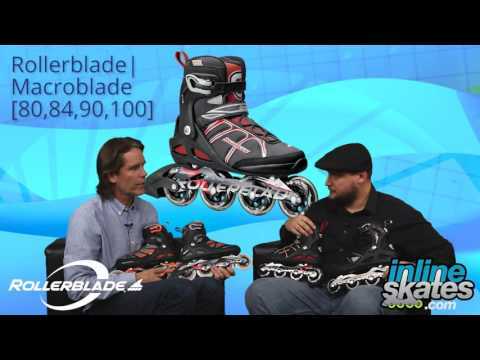 Q: Do the Bladerunner brand and Rollerblade brand fit about the same? A: Yes, they are the same parent company and offer a similar nearly identical fit. Q: These are rubber wheels, correct? A: Oh yeah, rubbery goodness. Inline skate wheels are made up of a high grade urethane rubber which gives them good grip as well as the proper durability for many fun time skating sessions. Q: I used to do some aggressive inline skating, mostly ramps back in the 90's, and I am pretty comfortable with recreational ice skating. I'm curious on how I determine what level of skates would fit my current skill? A: It all depends on what you are looking to do with the skates. The skates on this page would be a great choice for general skating for fitness and recreation. As you are a strong skater you can go with something a bit nicer like this skate and have some room to grow your skating without outgrowing the skates. 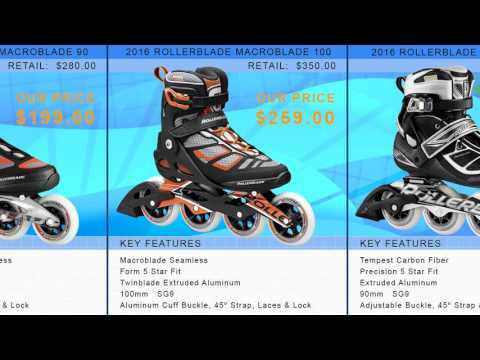 If you wanted a more aggressive style boot there are K2 and Rollerblade brand urban skates that will offer a larger wheel for more speed but they offer a more aggressive style skate. As a former aggressive skater myself I own a pair of skates similar to these and a pair of urban skates so I get the best of both worlds ;) But just keep in mind why you want skates and what type of skating you will be doing. Q: Hey, I bought these skates a few months ago and my brake has worn down. Where can I buy a new one? A: You can order a new brake for your skates from us. You will want the Rollerblade Brake Pad STD 2 PK Inline Skate Brake 2016 which you can enter in the on site search box to see. This brake will fit these skates.